Clean, quiet, nice old school hospitality touches, sewing kit, slippers, a full range of toiletries etc. Perfect size room, comfy sofa, comfy bed, lovely ensuite. Great location. Near to restaurants, ferry and trams. I liked it costs very reasonable with the size of our room. Clean and bright interior as well. Everything was excellent. Staff especially were amazing and helpful. Location was perfect. Supermarkets and restaurants practically at door. Perfect would recommend to friends and would stay again. Thanks guys. 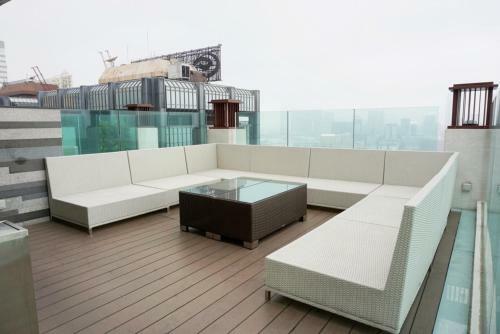 Good location, amazing rooftop view, clean and spacious room. Complimentary water and fruits were a nice touch! The staff was very helpful, answered all our questions gave us directions and were very polite. The room was big enough for two people. It was very quiet at night. The staffs were kind and welcoming us. Surrounding is quiet and mrt is reachable. Good location for family. 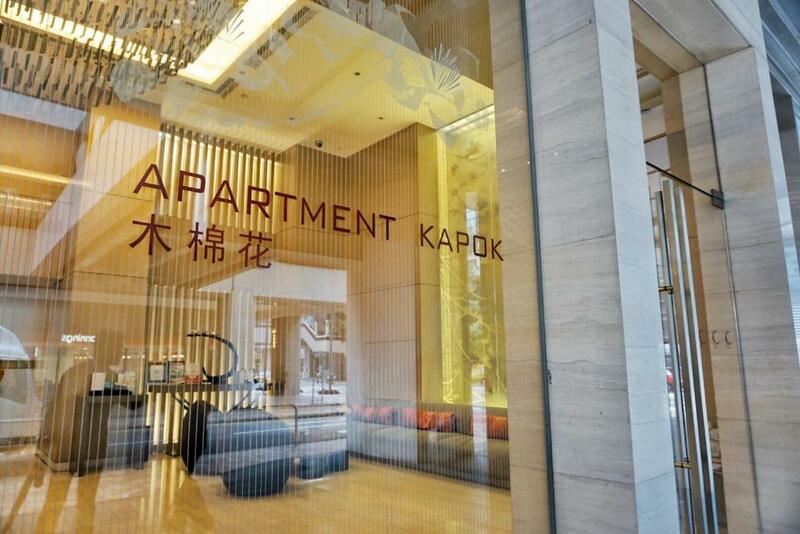 Lock in a great price for Apartment Kapok – rated 8.1 by recent guests! 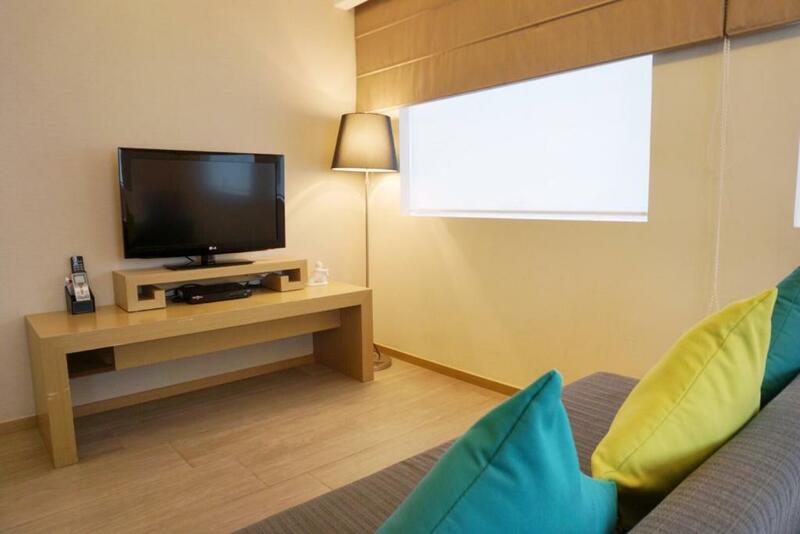 Apartment Kapok This rating is a reflection of how the property compares to the industry standard when it comes to price, facilities and services available. It's based on a self-evaluation by the property. Use this rating to help choose your stay! 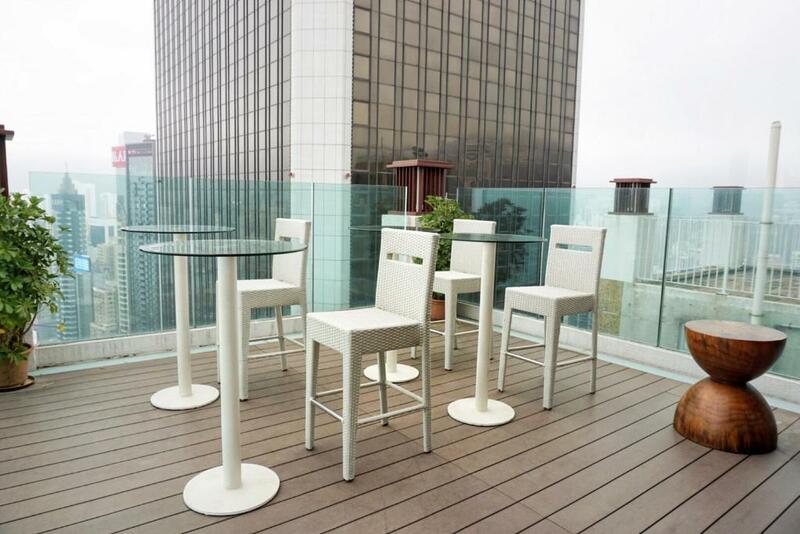 Located in lively Wan Chai, this modern boutique serviced apartment offers panoramic harbor views and is just 5 minutes' away from Central and Causeway Bay by MTR train. Free Wi-Fi is provided. Kapok's apartments feature wooden flooring and come equipped with an electric kettle with tea-and-coffee making facilities and refrigerator. The living area has a sofa and satellite TV. The private bathroom comes with a shower, hairdryer and free toiletries. 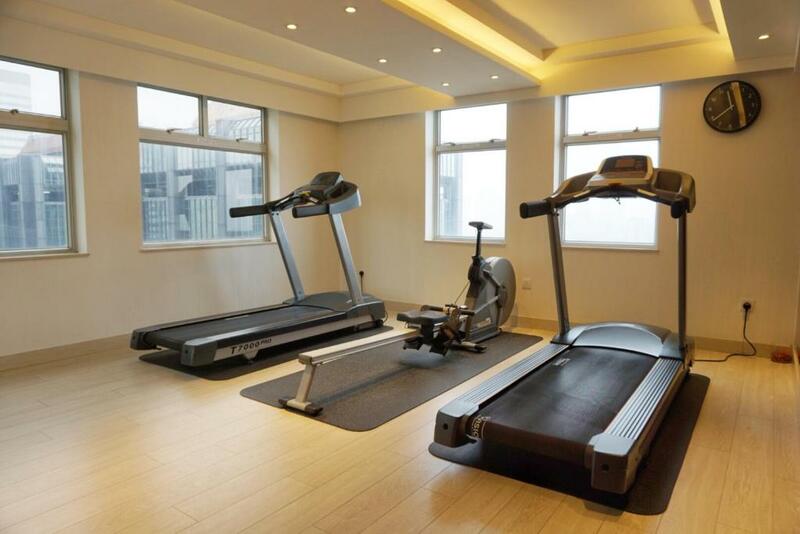 Guests can work out at Apartment Kapok's fitness center or enjoy a game of billiards. Daytrips can be arranged at the travel desk. For convenience, the property operates a 24-hour front desk and offers guest services including luggage storage and car rental. Free self-catering laundry service is available. It is a 25-minute journey to Hong Kong International Airport by Airport Express. It is a 30-minute train journey to Hong Kong Disneyland. The surrounding area features a variety of retail, dining and nightlife options. 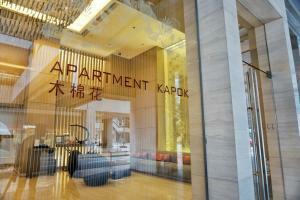 When would you like to stay at Apartment Kapok? Along with a city view, these apartments have a satellite TV, an electric teakettle, a tea and coffee maker and a private bathroom with a shower, hairdryer and free toiletries. Area Info – This neighborhood is a great choice for travelers interested in food, city trips and city walks – Check location Great location - show map Guests loved walking around the neighborhood! House Rules Apartment Kapok takes special requests – add in the next step! Apartment Kapok accepts these cards and reserves the right to temporarily hold an amount prior to arrival. Please note that American Express credit cards are not accepted for guarantee and payment. Please kindly present the same credit card used to guarantee your booking (both names must be the same) upon check-in at the hotel. Please note construction work is going on nearby and some rooms may be affected by noise. no complaints, I couldn't open the window blinds as the neighbours would see in but I think that's got more to do with being HK than anything else. I was too low (7th floor) for a view but I hadn't asked for one. - i couldn’t get an extra blanket for my daughter which I asked for because house keeping staff were gone. - Little far from metro station. - No breakfast. Seems a bit noisy with other guests closing their room doors loudly. No reason, could not fault this complex. Air conditioner wasn’t working. Left 3 days before my check out because it was too hot in the room and didn’t got even partial refund for the days I couldn’t stay because of the high temperature in the room. Air condition was not halpfull. The adapter we got from the lobby didn't work, and that was the only type of adapter they had.. There was a slight residue of smoking smell even though it was a non-smoking room. Lift not working to level 8. so need to take the stairs from level 7 (stairs were not easy to use). Also waiting for the lift takes ages as only 1 lift works. the noise from other rooms, renovation works, cleaners talking loudly in the morning, good friendly employees apart from one lady at night who was quite rude when we politely asked her to replace a broken kettle (wires were showing in the kettle itself but she said its common and all rooms have it-i guess the safety standard is quite appalling). 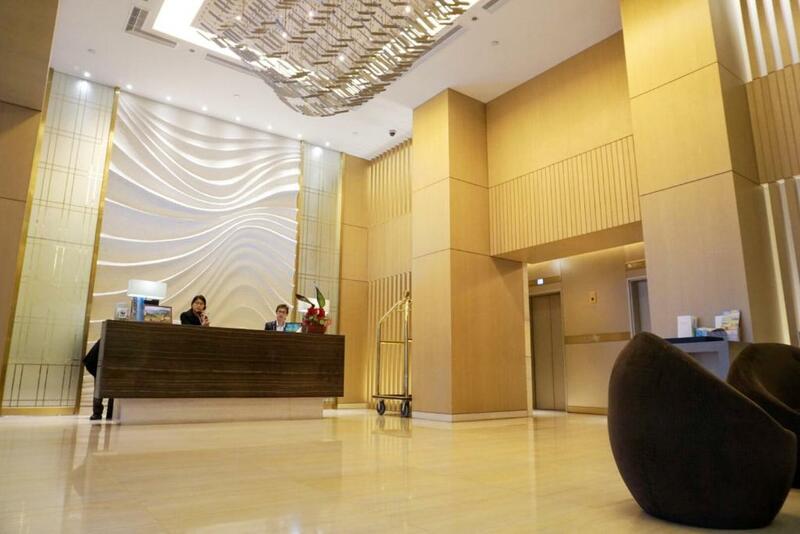 If you can put up with all these issues, this hotel is for you as the location is very central. value for money that's it. But i actually found out some better accommodation than this. But for my experience, the hotel represents good value. As we stayed for three weeks, there are lots to dislike about: Simply things like noise disturbance (renovation works, traffic), lack of comfort (people smoking in rooms even though i am in the non-smoking rooms section), stained towels (some cleaners are not replacing towels and what we classified as essentials-sachets of coffee) and the inconvenience of using a single lift (arguably fit 7people) and the wait time is generally 10 minutes or more. Doubt i will be back despite the employees being polite and nice to talk too. Good value and the location is very central. They charged in full again the room. But I paid partial when I booked it. How can I claim the partial payment I made last July? lift maintenance is poor. Only 1 lift operating daily with the other 2 lifts under maintenance most of the time.